Slouchy cowls are stretchy, comfortable & warm... and SUPER easy to make. 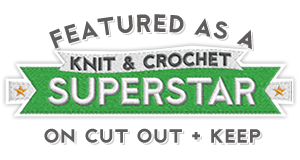 Pick out your favorite yarn, sit down with a good movie & whip one up for yourself! Yarn: Approximately 200 yards of Worsted Weight yarn. Modeled sample shown using JoAnn Sensations Tropics. If you don’t feel comfortable with your purling skills, feel free to knit the whole thing. 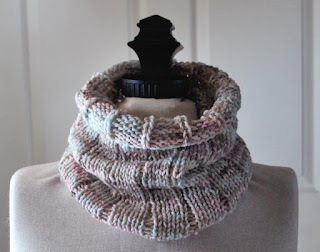 If you want your cowl longer/shorter, knit more/fewer rounds. If you want it a bit tighter, use smaller needles. Rounds 2—40 (50): (K4, P1) around. Bind off in pattern stitch. (recommended) Crochet around edge of cowl to give it a nice finished edging, and to prevent curling. 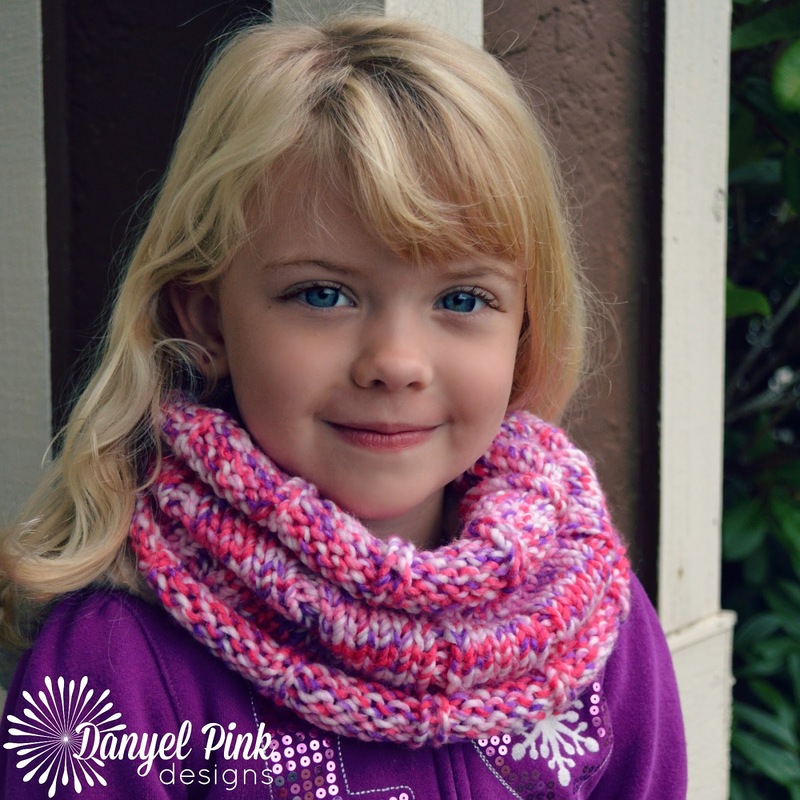 Use self-striping or variegated yarns for a fun, colorful cowl. 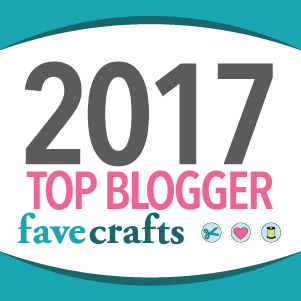 Sew flowers or buttons, pin brooches, or add ribbons to your cowl to make it unique.